NDNY (New Delhi | New York) was born out of a resource conscious, hyper functional global mindset. These values have been permanently ingrained in our minds and now inform the way we practice, from small commissions all the way through large constructs. Since our inception, our mission has been to deliver projects that embody the highest functional aspirations using all the technological tools at our disposal to generate solutions with the smallest environmental footprint. We practice an inter disciplinary approach and in the past five years have engaged with photographers to develop custom lighting products (Gunlight), worked with researchers to interpret pharmaceutical data into city models and developed our own self discovery mobile applications (LABYL app). Architecture for us extends beyond the traditional realms and into areas that are not usually part of an Architect’s orbit. NDNY has collaborated across architecture, interior design, industrial design, product design, engineering and virtual disciplines. This has allowed us to influence and be influenced by others. Through our practice we strive to make architecture more accessible by generating bespoke solutions for an ever changing and challenging world. Mary is a co-founder & partner at NDNY. She brings an interdisciplinary and humanitarian approach to her work. She believes that better solutions can be provided by drawing from other disciplines and focusing on social and environmental factors. Mary has over fifteen years of experience in the architecture industry. Prior to founding NDNY, she worked as a Project Architect at Robert A M Stern Architects and FXFowle in New York City on residential and master planning projects. Mary is a licensed architect in India and the State of New York, and a LEED accredited professional. 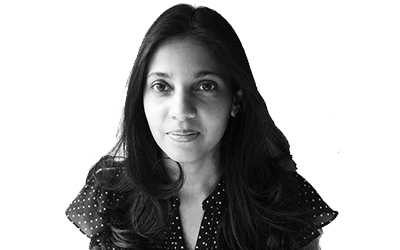 She holds a Master's degree in Architecture & Urban Design from Columbia University, New York, and a Bachelor's degree in Architecture from the School of Planning and Architecture, New Delhi, India. She has a certification in Global Affairs from New York University relating to political economy and sustainable development. Ananth is a co-founder & partner at NDNY. He believes that every project, whether big or small, provides an opportunity to rethink the status quo. Given the Earth's perilous state, he strives to design projects that have a big impact with the smallest environmental footprint. 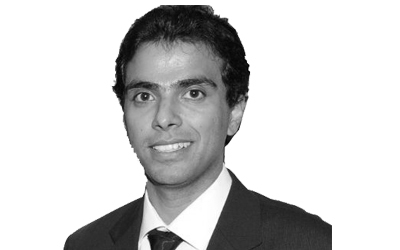 Ananth has over fifteen years of experience in the architecture industry. Prior to founding NDNY, Ananth worked as a Project Architect at FXFowle Epstein & Associate at Richard Meier & Partners, on various projects, including the expansion and renovation of the Javits Convention Center, New York, NY and Teacher's Village, Newark, NJ. Ananth is a recipient of the prestigious Schiff Foundation Fellowship Award from the Art Institute of Chicago. He has also received a commendation from the Chicago Architectural Club for emerging architects, an honorable mention from the Graham Foundation and the Henry Adams Medal from the American Institute of Architects for academic excellence.